Mario Alcides Polanco Pérez, from Guatemala, is a member of the Executive Committee of the Greater Caribbean for Life. Currently, the Director of Grupo de Apoyo Mutuo (Mutual Support Group), an organization that includes more than 20,000 people, all of them victims and family victims of the people that were forcefully captured and disappeared during the State Terrorism Regime in Guatemala. Has worked with Guatemala’s National Commission on Violence and Security. 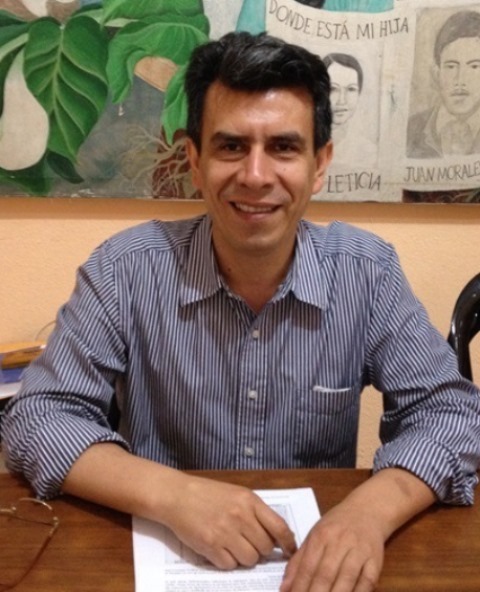 Recent victories include a Condemnatory Decision of the Interamerican Court of Human Rights against the State of Guatemala for neglecting justice in a case of forced disappearance and a conviction against an Ex Coronel of the Army and an Ex Lieutenant Coronel of the Police on charges of forced disappearance. Mario has been recognized as Human Rights defender on several occasions by Reebok (1989), the Republic of France (2006) and the Department of State of United States of America (2012).